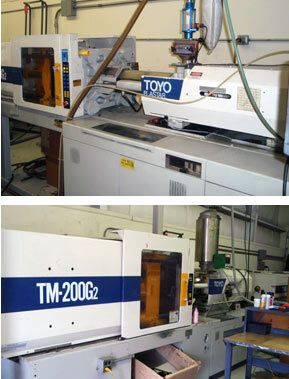 Wolgram specializes in producing enclosure products utilizing the latest in plastic injection molding technologies. Whether it is long or short run molding, thermoset molding or rapid injection molding Wolgram has the experience. We also provide custom and contract plastic injection molding of parts for a variety of industries, including aerospace, automotive, medical, and consumer. Simply put, we are committed to producing quality product for our customers. Our quality management system is ISO-based and continually updated. We are constantly looking at new ways to improve efficiency and to ensure quality. We believe that our commitment to quality is the most important reason to choose Wolgram as your partner. In any plastic part, proper engineering is critical. Designing for mold ability and good mold construction is essential. Wolgram has the experience and knowledge to offer design services as well as advice with design issues such as material selection, DFMA (Design For Manufacturability/Assembly) etc. For design and detailing of mechanical components, we utilize the latest generation 3D parametric solid modeling CAD software. All parts and assemblies originate and evolve electronically, providing the quickest route to design reviews, visualization, marketing support, rapid prototyping and tool path creation. Wolgram specializes in Custom Plastic Injection Molding utilizing all engineered and commodity resins for large or small parts and short or long runs.